I have always been amazed of the incredible shapes and forms that the milk draws in the tea when you pour some into it. It is like new energy, mass and elements are being created against the laws of physics. 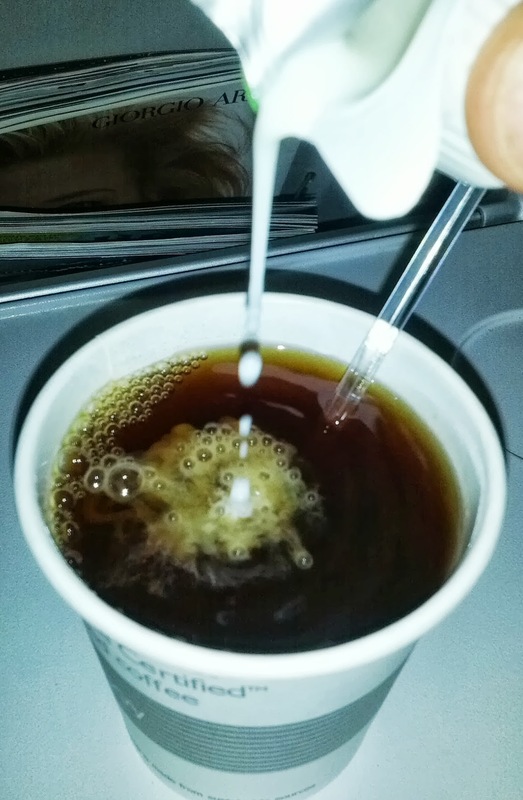 The milk penetrates the tea, unexpected, unwaited for, but terribly welcomed at the same time. Before the merge, the tea stands there elegant, quite majestic, waiting to be drunk in spite of that not being its real purpose. The reddish beverage represents calmness and maturity, it is a tiny drop of the essence of nature diluted in a modest amount of water that fulfills its goal most of the times just by being elaborated and placed in a small, middle-sized and warm-in-soul table besides an armchair. Frequently, the drinker – or the preparer shall we say – finds the sought calmness and serenity in the couple minutes when the cup of tea is fading from too hot to warm, waiting to be drunk. It’s in those couple minutes where we find the inkpot of our focused mind and drift away for a few minutes or even hours. It is in such journey through exploration and loss of time track when the tea finally fulfills its purpose, while still undrunk. I will often find the tea cold upon the first sip, quite shocked by realizing how much time has actually passed since it was prepared and then followed by a mild smile from a familiar thought: “It happened again”. Search for your inspiration sources, whatever they are, wherever they lie. Search for those pourings of milk and disturb your calm and current beliefs with them. Prepare loads of tea, let it cool while it warms your soul and remember that sometimes the purpose of something might not be what you think it is. Sometimes the tea has to get cold before you get warm. This entry was posted in Ways of Thinking and tagged inspiration, inspiration sources, tea with milk, thoughts. Bookmark the permalink.